Recently I started to track the engagement of underperforming Instagram feeds that have amazing, visually exciting images. Why did these feeds with vibrant images and spectacular colors have few followers and why, for the most part, were they being ignored by the millions of Instagram users who should have connected to the stories these brands were telling? The answer is their hashtag strategy, or lack thereof. Even if you tried, I don’t think you could create a social media website that incorporates all the elements of social media like Instagram! Photos? Check. Captions? Check. Hashtags? Check. Ability to make your feed public or completely private? Check. An option to post videos or images? Check. Opportunities to engage with social media influencers? Check. Yet still, with all these different elements in play to build a large following, the success of a brand’s Instagram feed depends on having a well-thought out hashtag strategy to enable users to find the feed. If they don’t know you’re there, how can you expect anyone to engage with the story you’re telling, and connect with your visually exciting images? 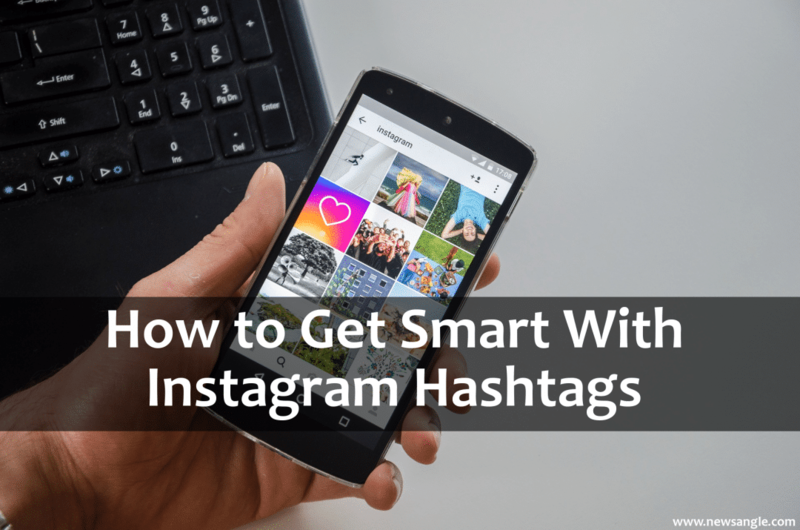 To utilize Instagram to its fullest potential, you need to do your homework and create a hashtag strategy. But how do you get started? First, think about who is looking at those hashtags. If you’re using a hashtag that describes the image, but no one is looking at it, what good is the hashtag? Let me give you an example. Let’s say you’re a food company that makes taco chips, salsa and guacamole dips, and your food stylist creates a large snack platter shaped like a football, with the food looking like the playing field. Your best-selling guacamole dip is used to create the football field, and the sour cream is used for the yard lines. Your food stylist uses bright green garnish for the sidelines, your wide selection of chips makes up the stadium, and yellow shredded cheese along with diced radishes and baby tomatoes create the colorful look of “spectators” in the stands. Your trusted food photographer takes the Instagram-perfect tabletop shot looking down at the platter, and the image is vibrant with bright colors and is, of course, entertaining. And then you post your engaging image on your Instagram feed and hashtag it #football, #collegefootball, and #tailgating. And you receive very few likes and almost no engagement. If we take for granted that you’re posting regularly, you’ve created a curated feed with visually stunning photos, and all the images are working together as a cohesive body of work, then it’s obviously a hashtag problem—and Instagram users are unable to find your feed! You also need to ask yourself about someone who is looking at one of your images from a hashtag feed, let’s say #football from our examples. Will the image interest them enough to skip over to your feed and perhaps become a follower? So you have two hashtag strategy challenges to consider: How many people are going to see the image, and will the people who do see it like it enough to check out your feed? In our salsa and chips example above, #football is not going to give you the yardage you need to build and increase followers, because most of the images using that hashtag will be of players, exciting gridiron action photos, or other game activities. In fact, I have found it a good idea to avoid using hashtags that just describe the image, because they usually will not support your brand’s story. What would be powerful hashtags for our guacamole pregame activities snack? Here are a few you might consider: #tailgatingparty, #footballparty, #foodporn, #foodphotography, #partyideas, #onmytable, #appetizers, #getinmybelly, #foodiegram, and #foodography. You want to use popular hashtags but, of course, what IS a popular hashtag? You need to do some more homework. To start, look at Instagram feeds you want to emulate. What hashtags are they using? How many people are looking at the hashtags they’re using? That’s what you have to analyze. If a lot of people are looking at these hashtags, you might be on the right track. Think about it from the perspective of the data, because it’s often all situational. How many people are looking at the hashtags? What is the level of engagement of the pictures saved to that hashtag? What do the pictures have in common on that hashtag? If you’re working on a specific long-term social media campaign, you might consider creating an Excel file of the hashtags you’re using to track how they are performing in regards to reach and engagement. If you’re in a hurry and want to get right to the heart of the matter, you can also find active hashtags by clicking the magnifying glass at the bottom of your screen. You’ll see a search bar, and when you tap on the bar, you’ll see a Tags option that will let you explore what types of traffic certain hashtags are getting when Instagram users are searching for products and services in your industry. Another quick way to find popular hashtags is to use Top-Hashtags.com, which gives a long list of highly rated hashtags being used across many social media platforms, not just Instagram. What I like about Top Hashtags is it will let you look at related hashtags, and you can drill down to see examples of how other brands or online influencers are using them. Although Instagram will let you use up to 30 hashtags on any one post, it’s a bad idea to take advantage of their generosity. Using a huge number of hashtags will make you look as though you’re desperate for likes and followers, and it will be difficult to know which combination of hashtags are generating engagement. I suggest using 12 to 15 hashtags when posting branded content on your feed. Finally, although you want to keep your feed curated and make sure all are visually entertaining and the images are working together as a cohesive body of work, remember to have fun. Be sure to post something a little different every so often if you think it may draw more Instagram users over to your feed. Remember, the goal of any social media strategy is to convert followers into customers, and you can’t do that if you don’t have people following—and finding—your feed. "Lee has the experience to think like an editor or news producer, and his guidance helps my agency shape the most compelling and newsworthy stories for our clients. He’s developed trust with the media as a respected professional. I have found Lee to be very responsive, which is critical in today’s 24/7 news cycle."